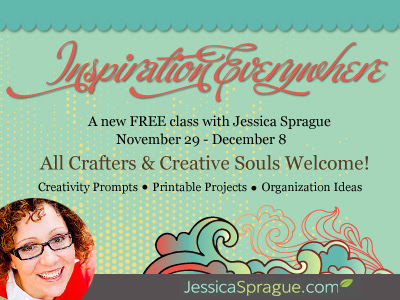 New class at Jessica Sprague. Now we all know you can't go wrong with any of her classes and best of all this one is free. It's called Inspiration Everywhere and all you have to do is click on the link and you can get all the info you need. Try it you'll like it.